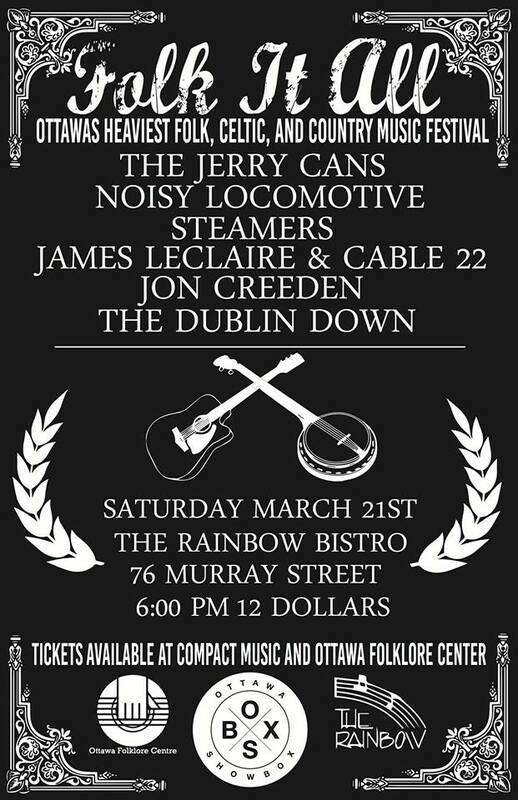 Folk It All is a brand new festival of the loudest and proudest independent folk, county and Celtic artists in Ottawa. The event takes place at The Rainbow (76 Murray Street) on Saturday, March 21. Tickets are available at Compact Music Inc. (206 Bank St), Ottawa Folklore Centre (1111 Bank St), Antique Skate Shop (9 Florence Ave) or online at www.universe.com/folkitall. Get your tickets before the event is sold out! Ottawa Showbox will be filling the space between sets with music from their vinyl collection and make sure to check out the artisan table of local freelance poster and album designers showcasing and selling their art.